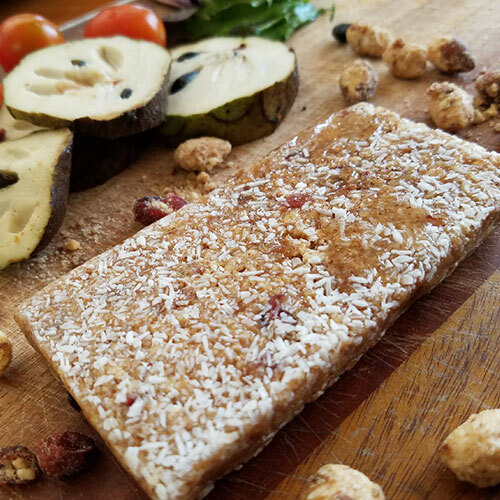 Great VEGAN “on the go” energy bar. Sweetened with brown rice syrup, so great for diabetics or anyone looking to avoid a spike in blood sugar. There is no added sugar. These bars give you the sustained energy you need to make it through your day. They make a great post-workout treat. Throw them in your backpack for your next hike. 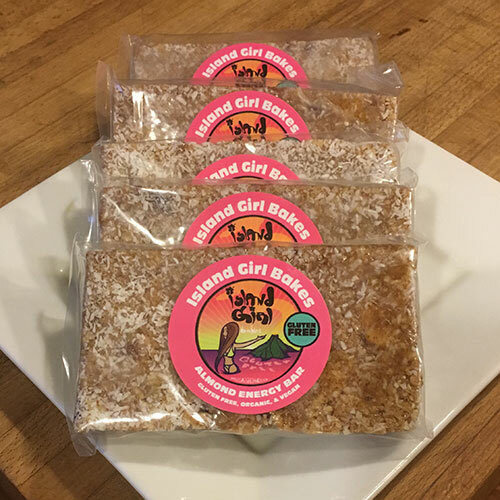 Ingredients: Organic Rice Crispy Cereal, organic almond butter, organic almonds, organic pecans, organic unsweetened coconut, organic brown rice syrup, organic cranberries, vanilla extract, celtic sea salt.